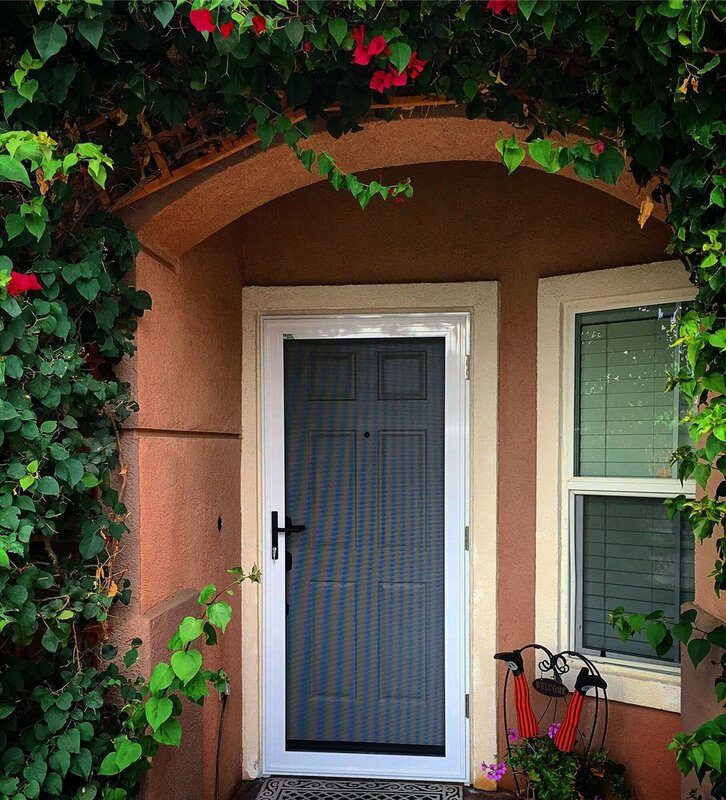 VISTA offers two levels of VISTA Security Screen™ protection in standard and custom sizes to meet your security needs. 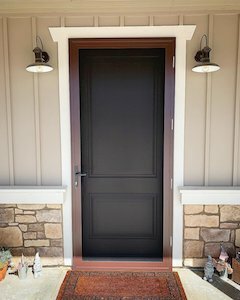 VISTA Security Screen™ Premium feature our maximum strength frames that take protection "to the max" and are perfect for residential properties, government installations, prisons, commercial properties, and other structures that require the ultimate in security. The heavy extruded aluminum (Grade 6063-T6) frame size is 1" x 3-3/8" (25 x 86 mm). 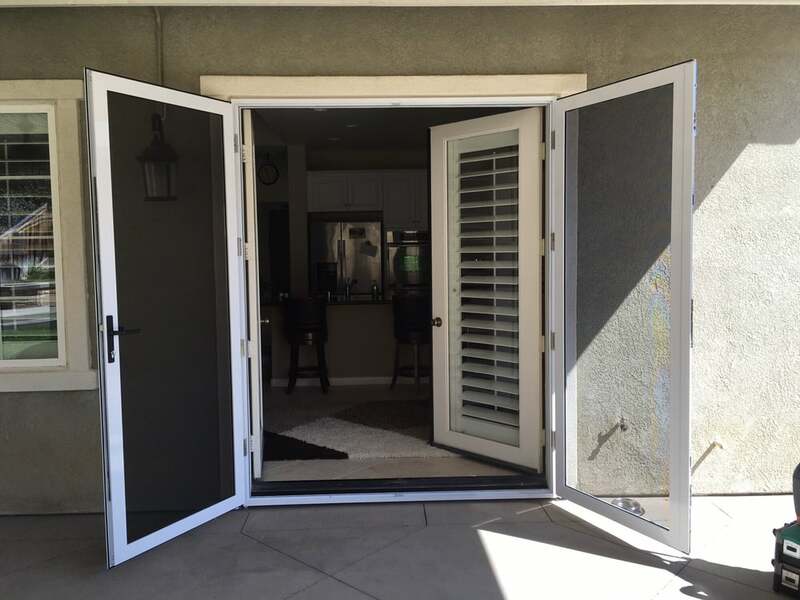 Sliding and swinging screen doors come with heavy-duty three-point latching systems, delivering the ultimate in protection against forced entry. 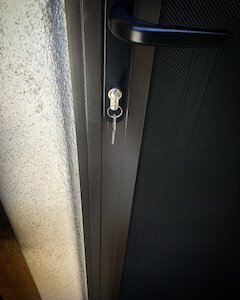 VISTA Security Screen™ Slimline are designed to be aesthetically pleasing for both residential and commercial applications. When used by businesses in commercial applications, Slimline Frames help ensure protection of property and inventory in the same manner they would protect your home and belongings. The extruded aluminum frame size is 13/16" x 3" (20 x 76 mm). As with the Premium Security Screens, all Slimline Screens feature a three-point latching system to provide increased protection against forced entry. 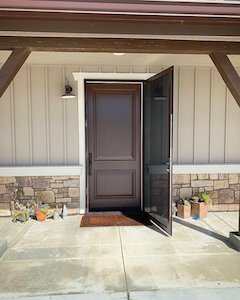 The Slimline Door Series comes complete with a hinged side adjustment channel and bottom adjustment channel. Provides Protection and Ventilation With Unobstructed Clear Vision Views! VISTA Security Screen™ Hinged Doors are often the first line of defense to protect you and your property. 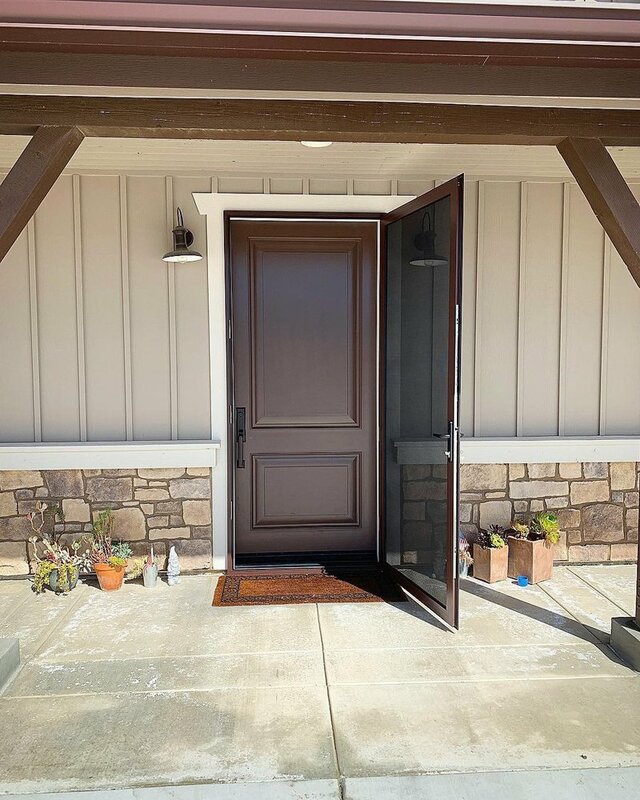 VISTA Security Screen™ Hinged Doors are available to accommodate a wide range of swinging door applications, either in an interior or exterior mount configuration. All VISTA Security Screen™ Doors are manufactured with 316 marine grade black powder coated stainless steel mesh. 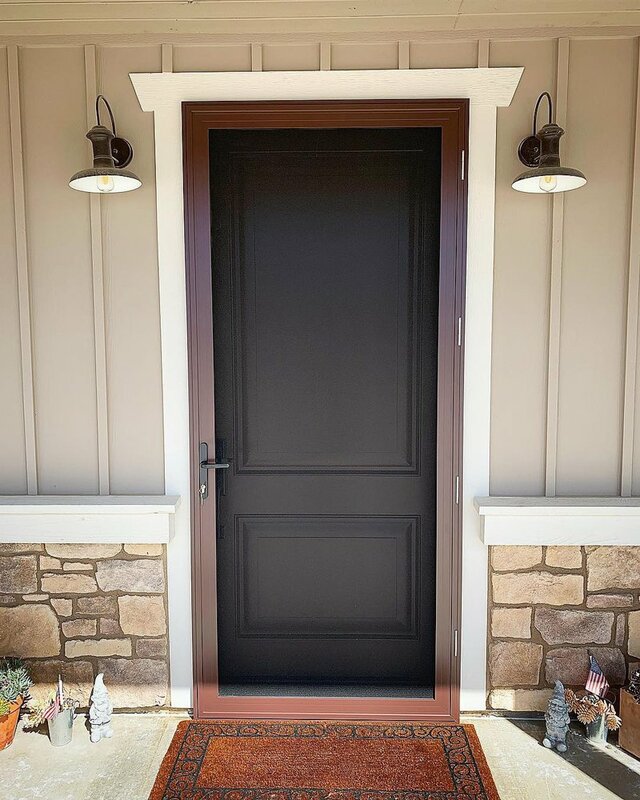 VISTA Security Screen™ Doors are architecturally designed to easily incorporate into aluminum, vinyl, or wood framed openings, for both new and existing structures. 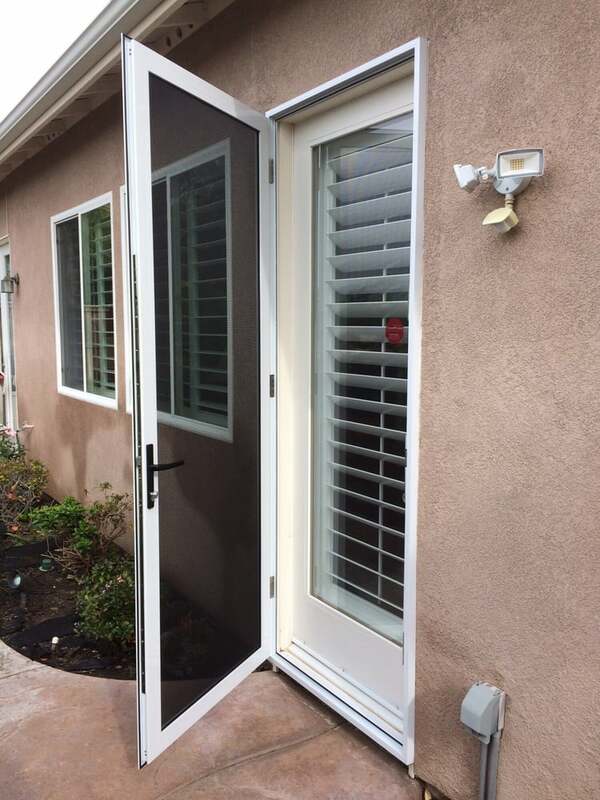 VISTA Security Screen™ Double/Single Sliding Patio Doors can protect either the single sliding glass door or both glass panels. 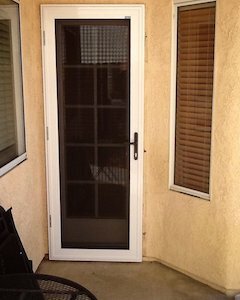 Double Security Patio Doors protect the sliding glass door and the stationary glass door panel from intruders. Double and Single Security Doors have a three-point latching system with one simple locking action. VISTA Security Screen™ Patio Doors filter out 60% of the sun’s harmful U.V. rays. 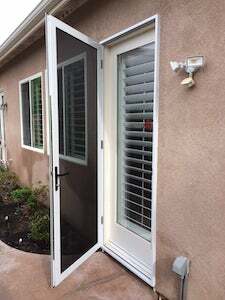 Both the Single and Double Security Doors are available in an aluminum frame surround system that reduces installation time. 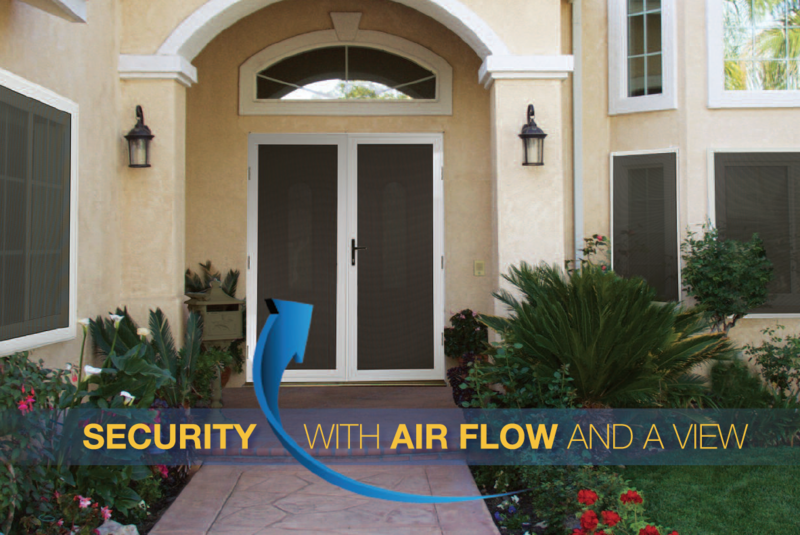 VISTA Security Screen™ French Doors provide security with elegance and air flow for swinging door applications. 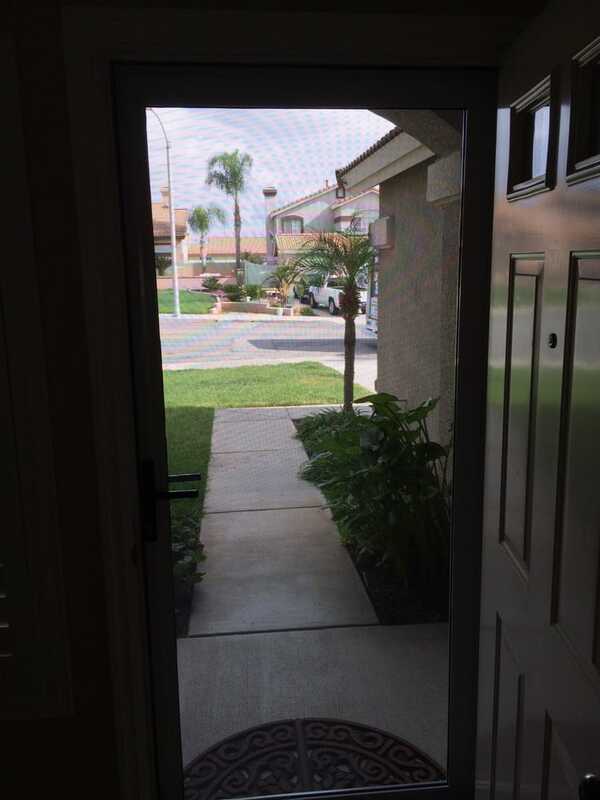 VISTA Security Screen™ French Door Systems have two operating doors with no center post when both doors are open, providing an unobstructed vieVISTA Security Screen™ French Doors can be designed for a left or right active operating door with the security of the inactive door locked in place. 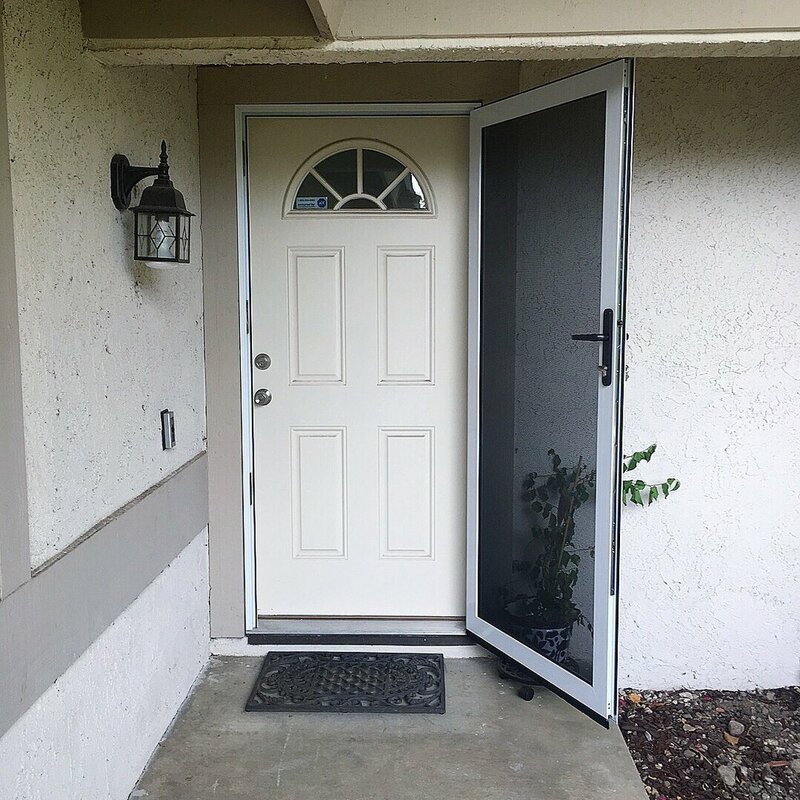 These specially designed multi-latching point doors are made strong and durable to provide years of trouble-free protection. We staff our phones from 8am to 5pm Mon – Sat. 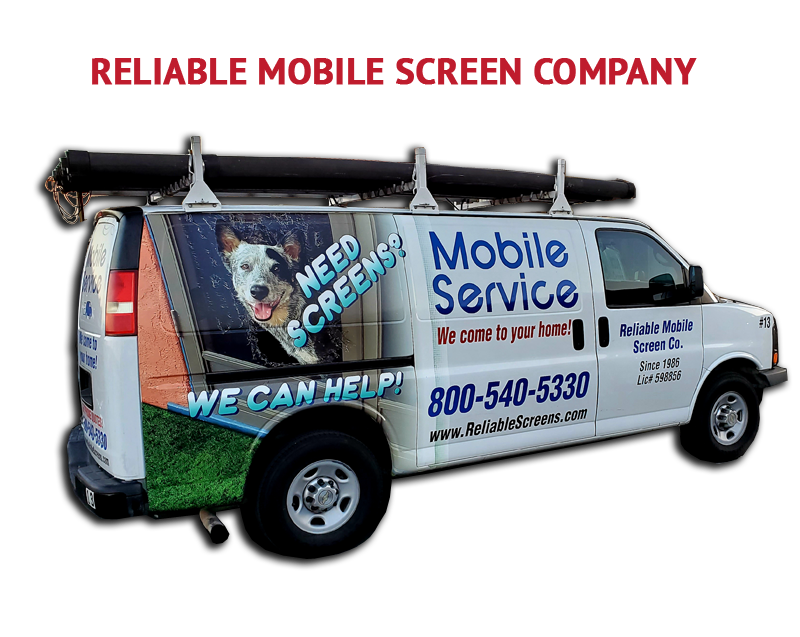 Call us today to find out how cost effective it is with our mobile screen repair. 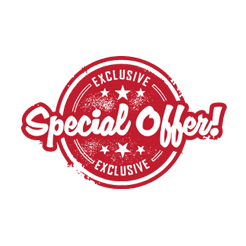 We staff our phones from 8am to 5pm Mon – Fri.
©2008-2018 Reliable Rescreening Company. All Rights Reserved. 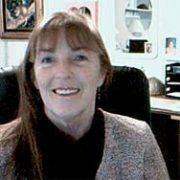 All of Orange County including Aliso Viejo, Anaheim, Brea, Buena Park, Costa Mesa, Cypress, Dana Point, Fountain Valley, Fullerton, Garden Grove, Huntington Beach, Irvine, La Habra, La Palma, Laguna Beach, Laguna Hills, Laguna Niguel, Laguna Woods, Lake Forest, Los Alamitos, Mission Viejo, Newport Beach, Orange, Placentia, Rancho Santa Margarita, San Clemente, San Juan Capistrano, Santa Ana, Seal Beach, Stanton, Tustin, Villa Park, Westminster, Yorba Linda. 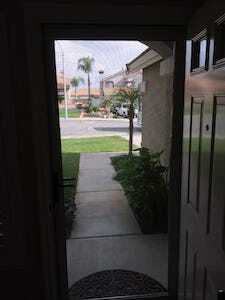 Los Angeles: Alhambra, Arcadia, Artesia, Azusa,Baldwin Park, Bell, Bell Gardens, Bellflower, Beverly Hills, Bradbury, Brentwood, Carson, Cerritos, Claremont, Commerce, Compton, Covina, Cudahy,Culver, Diamond Bar, Downey, Duarte, El Monte, El Segundo, Gardena, Glendale, Glendora, Hawaiian Gardens,Hawthorne, Hermosa Beach, Huntington Park, Industry, Inglewood, Irwindale, La Mirada, La Puente, La Verne, Lakewood, Lawndale, Lomita, Long Beach, Lynwood, Manhattan Beach, Monrovia, Montebello, Monterey Park, Norwalk, Palos Verdes Estates, Paramount, Pasadena, Pico Rivera, Pomona, Rancho Palos Verdes, Redondo Beach, Rolling Hills, Rolling Hills Estates, Rosemead, San Dimas, San Gabriel, San Marino, Santa Fe Springs, Santa Monica, Sierra Madre, Signal Hill, South El Monte, South Gate, Temple, Torrance, Vernon, Walnut, West Covina, West Hollywood, Whittier. Inland Empire: Riverside, San Bernardino: Alta Loma, Chino, Chino Hills, Corona, Etiwanda, Fontana, Grand Terrace, Highland, Mira Loma, Montclair, Norco, Ontario, Rancho Cucamonga, Rialto, Riverside, Rubidoux, Upland.